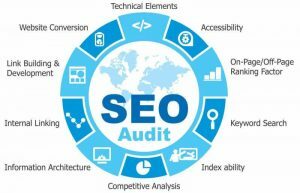 Searching for SEO Services Jacksonville Fl? We are Team RIO, a Jacksonville Digital Marketing Company that specializes in expert marketing strategies consisting of SEO, Google local listings, online reputation management, Website Design and search engine optimization. Not local to Jacksonville? No problem. We have helped business worldwide and we’ll help you get the most out of your Business, Website, SEO, Events and Ticketing or whatever it is that you do. It doesn’t matter if you are a small business or large business, we have search optimization packages that work with any budget. What separates us from our competitors? Our results. Our clients compete in some of the most difficult niches online. But the results we provide and our clients’ rankings speak for themselves. Keep in mind, Fixing and improving your Jacksonville SEO is an investment, not an expense. Correct optimization of your website, pages, and keywords will do more for your traffic than any advertising ever can. Contact our company now to learn how our SEO services can help your business grow. A short consultation to learn your specific SEO needs is free! Main Keywords– Do you have slight variations within your text at least once? Topical Relevancy – Are the linking sites relevant to your website or location? Anchor Text – Relevant text is used on the sites linking to you? An estimated 70% of search is local. People are looking for a business so they can visit them, hire them, or buy from them. If listings for your business are not accurate across the web or your Local SEO is incorrect, then you will miss out on this traffic. Customers could be calling you right now at incorrect numbers, or visiting someone else’s website. The #1 problem that can destroy a small business is NOT HAVING CUSTOMERS. We’ll get your phone ringing again so you can go out and do what you do best. Are you small local business like a dentist, carpet cleaner or plumber? If so you are probably aware and know how hard it is to succeed if people cannot find you online. If you are not getting phone calls and emails from you website then you have a Local Search Engine Optimization problem, what most people refer to as Local SEO. It is critical to have a Jacksonville SEO Expert on your team. For example, the term “plumbers in Jacksonville” gets roughly 1,500 searches per month. Now imagine if your business was at the top position of Google for a term with that many searches. What would that do for your bottom line? There a many terms in every local market just like this that are ready to be taken! If you are good at what you do, but you need help getting potential customers to your website we want to help you. Think about it, this is what we do, and we got you here! Let Jacksonville seo agency put that experience to work for you. Contact Us or give us a call at 904-595-6161 to get started today.